We're showing information for 36444. Modern consumers prefer to make informed purchases. They will only invest time and money in companies that offer the best products, services, and buying experience. This means that competition in the Alabama region can be intense. Having a fast, reliable Internet connection will set your Franklin, Alabama up for success. Get a Frontier Business package to outfit your business with phone and Internet services—including Business High Speed Internet—and stay in touch with your customers whenever you need. It’s apparent that businesses in Franklin are growing—especially when you consider the data which indicates a future job-growth rate of 15.40 percent. So now, competition doesn’t stop with attracting customers, you’ll also have to compete for top-notch employees. Luckily, you can turn to Frontier’s services for small businesses for help standing out—even in a competitive environment like in The Yellowhammer State. Keep your customers informed of promotions through Texting. 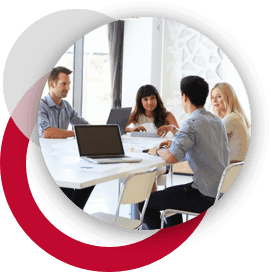 Inform your employees about company strategies with Conferencing. Managed IT will keep you connected and protect your information online. Plus, you can give your online presence a much-needed boost with Web Development and Hosting. With such a wide range of services and features, Frontier extends your business’s reach to connect with clients, customers, prospective partners, and the potential employees you’re looking for. There’s an extensive list of challenges that businesses throughout Alabama are dealing with as natural part of growth and expansion. Frontier’s enterprise solutions can help you combat those challenges and successfully reach your goals. So, you won’t have to worry so much about maintaining consistency with your current customers while you focus your efforts on building new business. With scalable Ethernet (Local Area Network and Virtual Private Line) you’ll have the resources you need to stay connected as your company expands. That’s because as your bandwidth and connectivity needs change, scalable Ethernet can change with you, so that your company stays online. Plus, you’ll be able to safely access online information over a secure IP connection, thanks to our IP Virtual Private Network. Scalability is vital, but it is by no means the only issue you need to address to keep your business growing in Franklin. That’s why Frontier Communications also offers crystal-clear phone connections, so you’re always able to communicate with your customers, no matter where they are. Imagine having high quality telephones and easy-to-use advanced features to connect to clients anywhere in The Yellowhammer State. These features and more are all made conveniently available through Centrex from Frontier. If that’s not enough, then consider that you won’t have to worry about updating equipment, hosting, monitoring, or even network design—because Frontier can manage all those issues for you. 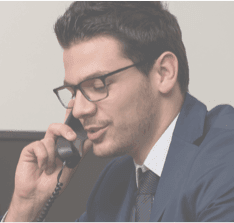 Not to mention, our Hosted VoIP solution offers standard features such as Voicemail, Caller ID, unlimited nationwide calling and the latest technologies like voice-to-email integration—all in addition to the pristine sound quality delivered through Frontier voice solutions. In every industry--whether it is Health Care, Finance, Education, or Retail--customers want to quickly connect with reliable service providers. The residents of Franklin, AL have the same expectations. They expect to interact with your employees online, in person, and over the phone; and they tend to remain loyal to businesses that provide the resources to make these interactions simple and efficient. By choosing Frontier in your area, you get dependable customer service and advanced infrastructure and equipment. Plus, Frontier's services are customized to fit your industry, so you'll be a step ahead of the competition. In today’s fast-paced world, no one likes to wait. That’s why Frontier works hard to deliver Internet connections that feature speeds up to in Alabama. With Frontier Internet, you have the speed you need to free up your time, focus on helping your customers, and communicate with your staff. And the benefits don’t stop at Internet speed. Cyber security is another important business need that Frontier can help you address. Were you aware that Alabama reported 0 cybercrimes in 2013? Protect your customers and your company’s sensitive data with Frontier Secure, which includes services such as malware and virus protection, cloud backup, and top-of-the-line tech support. Businesses in Alabama can also take advantage of a number of equipment replacement programs offered by Frontier in the event that any of your digital assets are physically damaged or stolen. Frontier Internet service delivers the speed and protection you need to stay ahead of the competition—no matter what industry you’re in.